The International Journal of Cross Cultural Management (IJCCM) provides a specialized academic medium and main reference for the encouragement and dissemination of research on cross cultural aspects of management, work, and organization. This includes both original qualitative and quantitative empirical work as well as theoretical and conceptual work which adds to the understanding of management across cultures. The Journal also promotes an understanding of the role of culture which is able to guide both theory and practice. The International Journal of Cross Cultural Management is an international peer reviewed journal that publishes the highest quality original research in cross cultural aspects of management, work and organization. The International Journal of Cross Cultural Management (IJCCM) aims to provide a specialized academic medium and main reference for the encouragement and dissemination of research on cross cultural aspects of management, work and organization. This includes both original qualitative and quantitative empirical work as well as theoretical and conceptual work which significantly add to a critical understanding of management across cultures, from different paradigms and cultural perspectives. In particular it aims to be the first choice for scholarship that develops critical advances in knowledge, which challenges orthodoxy in international and cross-cultural research, which critically reviews current knowledge taking it to the next level, which presents new and exciting approaches, alternative paradigms, alternative cultural perspectives, and challenges the hegemony of Western management knowledge. As such, we aim to be the leading reference in critical, international and cross-cultural management and organizational scholarship, providing a rigorous yet developmental review process and timely publication. The main emphasis is on intercultural and transcultural studies. Intracultural analysis is invited where this contributes to an understanding of the issues, problems and practice of managing, working and organizing across cultures. Of particular relevance is the application of cross cultural psychology, socio-cultural anthropology, sociology, cross cultural communication and related disciplines to cross cultural management issues and practice. Cross disciplinary approaches are also encouraged that address the international and cross cultural areas of organizational behaviour, organizational theory, human resource management, and management (with an emphasis on people in organizations). This does not exclude contributions from specialists working in other fields such as marketing, where there is a direct critical contribution to the understanding of the issues, problems and practices of managing, working and organizing across cultures. Therefore, an area such as cross cultural consumer behaviour is not likely to be considered, but intercultural negotiation will be. All contributions are expected to contribute significantly to knowledge, either by offering critical reviews of existing knowledge, challenging accepted paradigms, or presenting different cultural perspectives. This might include work that helps to define the area, critically evaluates previous theory, and advocates new developments in theory and methods. Empirical work which does not just provide simple comparison across cultures is encouraged, as long as it attempts to present new and exciting departures to existing knowledge. Indigenous or endogenous management research is particularly encouraged and actively sought. We are concerned that contributions that do not take 'western' or 'westernized' approaches may be overlooked in other international journals. We encourage these contributions as long as their internal logic and external validity is sufficiently established. Single-culture work is acceptable provided it informs and advances knowledge in cross cultural management and this contribution is clearly stated. The ultimate utility to cross cultural management practice should be transparent. We also encourage substantial critical comments on previously published work, and perspectives that challenge key issues in the subject area. We would also like to receive substantial reviews of conferences and other activities of academic and professional associations around the world devoted to cross cultural work as well as more traditional book review articles critically evaluating a number of publications. These must make a contribution to the study and understanding of cross cultural management, and will be subject to a review process. 'The Journal of Cross Cultural Management stands out as the leading journal for disseminating cross- cultural management knowledge, techniques, trends, and issues. During the past eight years, the journal has served as an important forum for scientific research and innovations in this area. The journal continues to benefit management scholars and practitioners in the international arena like no other journal' Rabindra N Kanungo, McGIll University, Canada. Please read the guidelines below then visit the Journal’s submission site http://mc.manuscriptcentral.com/IJCCM to upload your manuscript. Please note that manuscripts not conforming to these guidelines may be returned. Only manuscripts of sufficient quality that meet the aims and scope of International Journal of Cross Cultural Management will be reviewed. As part of the submission process you will be required to warrant that you are submitting your original work, that you have the rights in the work, and that you have obtained and can supply all necessary permissions for the reproduction of any copyright works not owned by you, that you are submitting the work for first publication in the Journal and that it is not being considered for publication elsewhere and has not already been published elsewhere. Please see our guidelines on prior publication and note that International Journal of Cross Cultural Management may accept submissions of papers that have been posted on pre-print servers; please alert the Editorial Office when submitting (contact details are at the end of these guidelines) and include the DOI for the preprint in the designated field in the manuscript submission system. Authors should not post an updated version of their paper on the preprint server while it is being peer reviewed for possible publication in the journal. If the article is accepted for publication, the author may re-use their work according to the journal's author archiving policy. Before submitting your manuscript to International Journal of Cross Cultural Management, please ensure you have read the Aims & Scope. Article types include original qualitative and quantitative empirical work as well as theoretical and conceptual work which add to the understanding of management across cultures. The Journal also promotes an understanding of the role of culture which is able to guide both theory and practice. 1.2.2 Cultural Perspectives. Contributions, particularly from non-western societies, which represent indigenous management research are actively sought. We are particularly concerned that contributions which do not take a 'western' or 'westernized' approach may be overlooked in international journals. We encourage these contributions as long as their internal logic and external validity is sufficiently established. Single culture work is acceptable provided it informs and advances knowledge in cross-cultural management and this contribution is clearly stated. The ultimate utility to cross-cultural management practice should also be transparent. 1.2.3 Commentaries and Critical Reviews. We would like to encourage substantial comments on previously published work, perspectives and comments on key issues in the subject area. We would also like to receive substantial reviews of conferences and other activities of academic and professional associations around the world devoted to cross-cultural work as well as more traditional book review articles which evaluate a number of publications. These also must make a contribution to the study and understanding of cross-cultural management, and will be subject to a review process. International Journal of Cross Cultural Management operates a strictly anonymous peer review process in which the reviewer’s name is withheld from the author and, the author’s name from the reviewer. Each manuscript is reviewed by at least two referees. All manuscripts are reviewed as rapidly as possible, and an editorial decision is generally reached within (eg) 4-6 weeks of submission. International Journal of Cross Cultural Management requires all authors to acknowledge their funding in a consistent fashion under a separate heading. Please visit the Funding Acknowledgements page on the SAGE Journal Author Gateway to confirm the format of the acknowledgment text in the event of funding, or state that: This research received no specific grant from any funding agency in the public, commercial, or not-for-profit sectors. International Journal of Cross Cultural Management encourages authors to include a declaration of any conflicting interests and recommends you review the good practice guidelines on the SAGE Journal Author Gateway. At SAGE we are committed to facilitating openness, transparency and reproducibility of research. Where relevant, International Journal of Cross Cultural Management encourages authors to share their research data in a suitable public repository subject to ethical considerations and where data is included, to add a data accessibility statement in their manuscript file. Authors should also follow data citation principles. For more information please visit the SAGE Author Gateway, which includes information about SAGE’s partnership with the data repository Figshare. International Journal of Cross Cultural Management and SAGE take issues of copyright infringement, plagiarism or other breaches of best practice in publication very seriously. We seek to protect the rights of our authors and we always investigate claims of plagiarism or misuse of published articles. Equally, we seek to protect the reputation of the journal against malpractice. Submitted articles may be checked with duplication-checking software. Where an article, for example, is found to have plagiarised other work or included third-party copyright material without permission or with insufficient acknowledgement, or where the authorship of the article is contested, we reserve the right to take action including, but not limited to: publishing an erratum or corrigendum (correction); retracting the article; taking up the matter with the head of department or dean of the author's institution and/or relevant academic bodies or societies; or taking appropriate legal action. 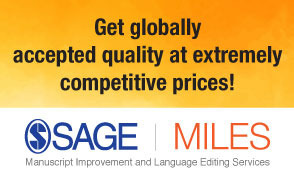 International Journal of Cross Cultural Management offers optional open access publishing via the SAGE Choice programme. For more information please visit the SAGE Choice website. For information on funding body compliance, and depositing your article in repositories, please visit SAGE Publishing Policies on our Journal Author Gateway. International Journal of Cross Cultural Management adheres to the SAGE Harvard reference style. View the SAGE Harvard guidelines to ensure your manuscript conforms to this reference style. International Journal of Cross Cultural Management is hosted on SAGE Track, a web based online submission and peer review system powered by ScholarOne™ Manuscripts. Visit http://mc.manuscriptcentral.com/IJCCM to login and submit your article online.